R Baker (Electrical) Ltd has over 35 year’s experience providing electrical services throughout the UK. Offering an electrical maintenance and electrical testing service, our team ensure your workplace has the maximum level of electrical safety possible. 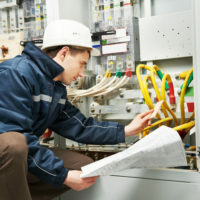 We will identify and fix electrical issues, preventing future damage and avoiding liability for fault and negligence. We complement our outstanding manufacturing service with a reliable electrical maintenance service. This includes the installation and overhaul of motors, transformers, and machinery. Furthermore, we can offer fixed wire testing, equipment testing and a PAT testing service. 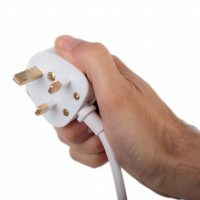 R Baker (Electrical) Ltd offer a competitive PAT Testing service in the Merseyside and Liverpool with prices from just 75p per item. For more information please click here. Our onsite electrical service team strive provide full turnkey solutions driven by in-house excellence. Being based in Liverpool we are perfectly positioned to service the whole of the UK. Our team work across a range of sectors including commercial, offshore and military. We guarantee to provide a cost effective and quality assured service, tailored to fully meet our customer requirements. 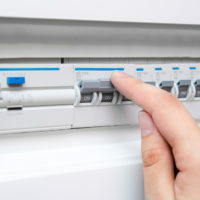 We can offer services from a routine electrical maintenance service to full installation projects. Our purpose built manufacturing facility based in Liverpool gives our electrical team the back up of electrical transformer manufacturing, motor rewinding, control system design and electronic repairs.